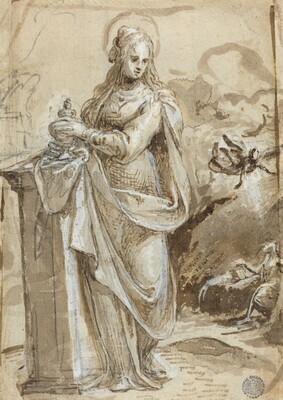 H. M. Calmann, London; NGA purchase in 1972. NGA Recent Acquisitions 1974, no. 20 (as School of Ferrara). 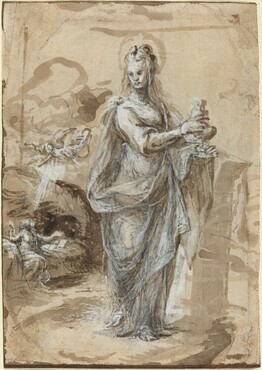 Correggio and His Legacy, Sixteenth-Century Emilian Drawings, National Gallery of Art, Washington, and Galleria Nazionale di Parma, 1984, 309, no. 103 (as Biagio Pupini).